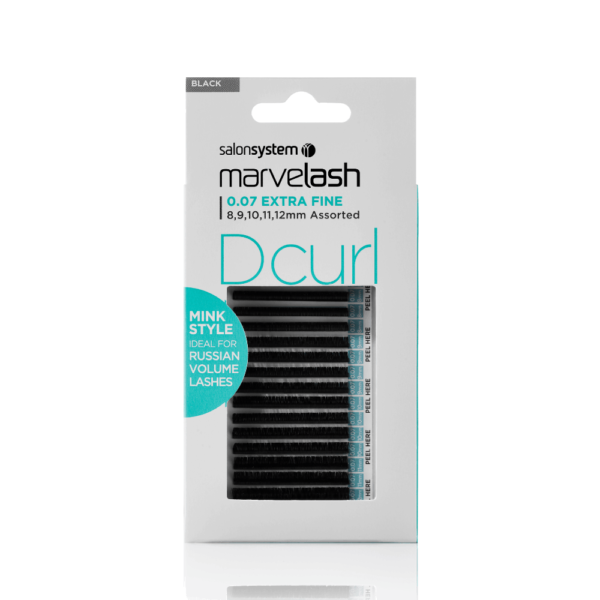 Dramatic D curl lashes. Mink style, lightweight 0.07. Ideal for Russian volume lashes. Combine different lengths or with different curls for unlimited creativity. Quick pick adhesive strips. Assorted lengths – 8, 9,10,11,12mm. Black, synthetic hair.